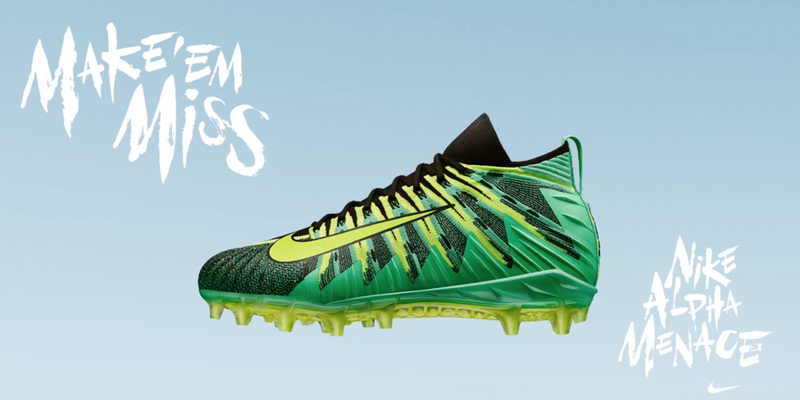 Alpha Menace football cleats help players put other players on skates. It also helps players drop dimes in bread baskets. And it also promotes good sportsmanship. We made these with Russell Wilson and two very willing and able-bodied mannequins. Russ was very engaged with the shoot. Here is he very concerned with the state of one of our mannequin cast members.